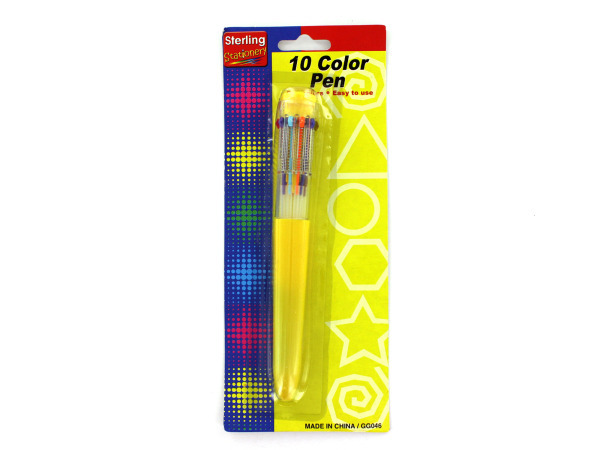 Choose from a rainbow of colors with this unique 10 Color Ballpoint Pen featuring an easy to use design with ten different colors - green, orange, brown, yellow, purple, red, blue, baby blue, pink, and black. Pen measures approximately 6.5" long. Pen can stand up on its own for convenience. Comes packaged in a blister pack.